"Emotionally rich." --"New York Times"
"Ambitious, lush and even thrilling." --"Los Angeles Times"
"Ripping good yarns." --Minneapolis "Star Tribune"
"The stories in this strange and original collection bend genres--horror, mystery, Western--into wondrous new shapes." 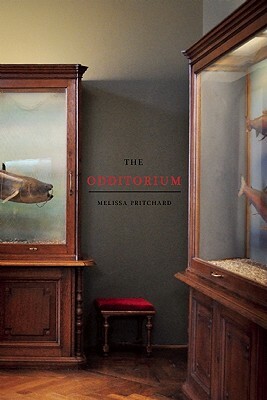 --"O, The Oprah Magazine"
In each of these eight lyrical and baroque tales, Melissa Pritchard transports readers into spine-tingling milieus that range from the astounding realm of Robert LeRoy Ripley's "odditoriums" to the courtyard where Edgar Allan Poe once played as a child. Whether she is setting the famed figures of Buffalo Bill's Wild West Show, including Annie Oakley and Sitting Bull, against the real, genocidal history of the American West, or contrasting the luxurious hotel where British writer Somerset Maugham stayed with the modern-day brothels of India, her stories illuminate the many ways history and architecture exert powerful forces upon human consciousness. Melissa Pritchard is a Flannery O'Connor, Janet Heidinger Kafka, and Carl Sandburg award-winning author whose previous short fiction collections were "New York Times" Notable Book and Editor's Choice selections. She has also been an embedded journalist in Afghanistan and is member of the Afghan Women's Writing Project, which helps to promote literacy and education for Afghan women and girls. She lives in Arizona.